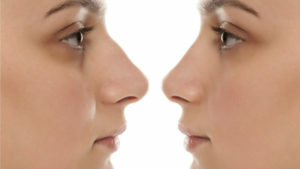 All kinds of people choose lifts from the Plastic Surgery One with Dr. Donald Kress. This surgery may be right for you if you have a sagging forehead with a stern and angry look, brows that hang too low and too close to the eyes, or frown lines that age you before your time. This procedure is performed on an outpatient basis under general anesthesia. Dr. Kress first places several tiny incisions behind the hairline. Through these incisions an endoscope is passed beneath the forehead skin to release the membranes, which bind the forehead skin. Once this is released, the forehead can be lifted and adjusted. Portions of muscles, which are contributing to undesired wrinkles or creases, are also removed. Pins or special anchors are used to maintain the elevation of the forehead and brows. Bandages are generally not required. Sutures or staples are removed on the 10th day and most bruising and swelling is gone in 10 to 14 days. A more youthful, relaxed, and rested appearance is possible following a forehead lift at Plastic Surgery One. Imagine being free from the constant impression of anger and enjoying a more balanced look in the upper face and eye area. Patients also notice relief from frown lines and excess forehead wrinkles. Is the full surgical forehead lift still used? Yes, but only for special circumstances. There are occasions where the actual bone of the forehead needs to be re-contoured. This is more than can be achieved through endoscopic incisions. The old procedure can easily accommodate special instruments to re-contour the shape of the forehead itself. Does the brow lift create a “startled” appearance that I’ve seen in magazines? When the procedure is done inexpertly and excessive over-correction is performed, it can lead to a “startle” appearance. This needs to be discussed with your surgeon—make sure that he/she has experience with the endoscopic brow lift. I already feel my forehead is large. Will this make it larger? Under some circumstances, the endoscopic brow lift can increase the visual appearance of the forehead, but there are special techniques that are available to minimize or eliminate this problem. This would need to be discussed on an individual basis with your surgeon. How are the frown lines dealt with? The frown lines are caused by a triangular formation of three muscles of the central portion of the forehead, which, when they work in concert, create the little wrinkles known as “frown lines.” These muscles are not essential for facial expression and can be removed or substantially weakened at the time of the surgery. Sometimes, however, if this is a long-standing problem, there may be irreversible changes that have already occurred in the skin. Although removal of the muscles will prevent the frown lines from getting worse, a filler substance may be necessary to correct the skin depressions. Can the endoscopic forehead lift be combined with a facelift or other procedures? This is quite common, particularly with eyelid surgery and or face lift procedure. WARNING! A particularly hazardous situation can occur with inexperienced plastic surgeons. If the need for the brow lift is not recognized at the time of an eyelid tuck, excess eyelid skin may be removed from the lids. 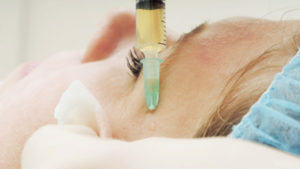 Later, when it is recognized that a brow lift is needed, it may be impossible to accomplish the brow lift due to the shortage of skin in the upper lids. It’s not unreasonable to ask about the possibility of a future brow lift any time a blepharoplasty (eyelid) procedure is under consideration. I’ve heard that the frown muscles can be related to migraine. Is this true? Yes. 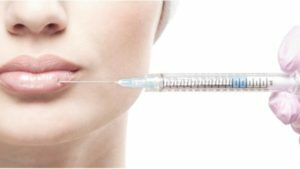 There are several treatment protocols utilizing BOTOX® Cosmetic or surgery. In Cleveland, Ohio, doctors noticed that many of the patients who underwent brow lift correction reported that their migraine headaches had disappeared. Now there are several different treatment protocols treating the frown or other muscles of the head and neck. In some patients the results have been very dramatic.